I practiced six months for the tests to qualify as a Gurkha soldier. The Gurkha's are respected and they earn a lot compared to the average salary in Nepal. There was 17 000 participants in the tests. I came in as 195. They choose 186 every year. I didn't know what to do with my life after that for a while. After I then somehow started working at a call center. First I was really happy about the work, but we had also night shifts because we served companies all around the world and that was hard. We had to pretend we are from the continent where the customer is, so we had exact answers to all questions on a paper and weather cameras so we could chit-chat about the weather with the customers. I was so tired always after the night shifts. Sitting at the office started to get boring, so I told myself, Lama, you have to do something else. I began to study to become a guide. I really love the outdoors. I couldn't think of anything better than being a guide here in the Himalayas. I love this. I have now my own company and I want to develop the whole trekking business in Nepal further. Nepali people have good heart but not always the best knowledge to act. In injuries they might often cause more harm than good when getting hurt trekkers down for medical help. So I decided that the trekking paramedics is something that needs a lot more work overall in this country. 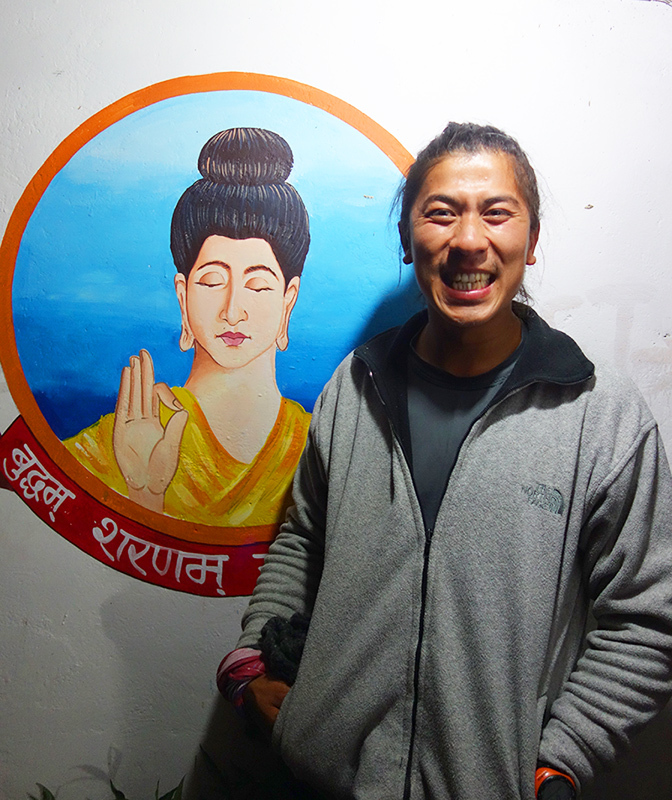 Besides being a guide, I co-operate with one of the best doctors there is in trekking medicine here in Nepal. He is very good and have saved a lot of lives. We organize clinics where we educate guides and medical staff to take the knowledge further. I want to make this safe, really safe, for anybody to do. I have a huge vision of impacting the whole industry. I want to make it happen. So what's your biggest dream in life?